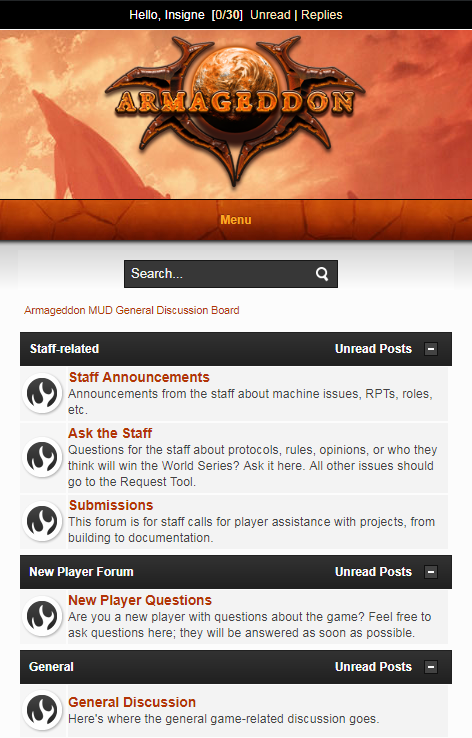 So a couple years ago after the forum was upgraded, I was tinkering with this theme, based on the website of Armageddon and an existing theme by DzinerStudio. With the help of azuriolinist (the maker of this Mudlet graphical prompt), we completed it! If anyone is interested in giving it a try, it's actually been available in the theme options for a while now as 'Zalanthan Inferno'. How does one change the theme? Scroll down the theme options page, find a theme you like and select [Use this theme]. You can access it by heading over to your profile, navigating to Look and Layout under the Modify Profile menu, and clicking on the link next to your current theme. I would love to see a dark version of this. Or more dark themes in general. This is very pretty, thanks for setting this up. Thanks for the appreciation, everyone! I don't know how easy it would be to do, but would it be possible to add the time and date to the mobile version? I'll have to see if staff are okay with me resubmitting the theme, but I'll give it a try! VICTORY! 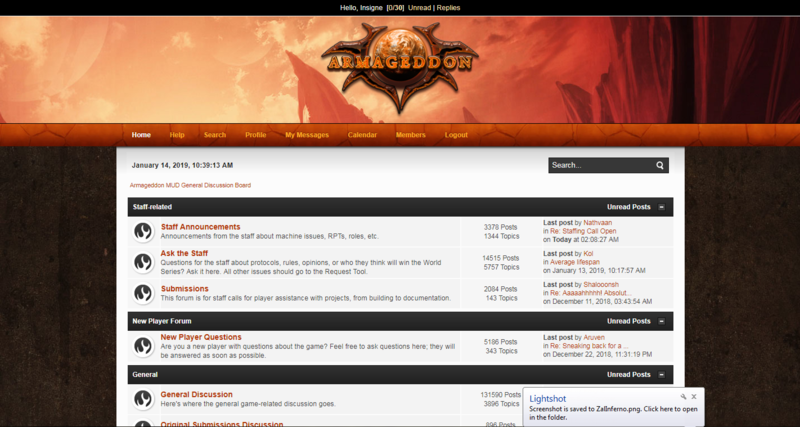 This is now available in the theme options as Zalanthan Inferno - Dark! I missed a few things while I was messing with the colors (pinned topics, quotes, code blocks, etc.) but Nathvaan was kind enough to push out an update once I tweaked the CSS some more. That should be the last of it but if there's anything else I missed, feel free to let me know! 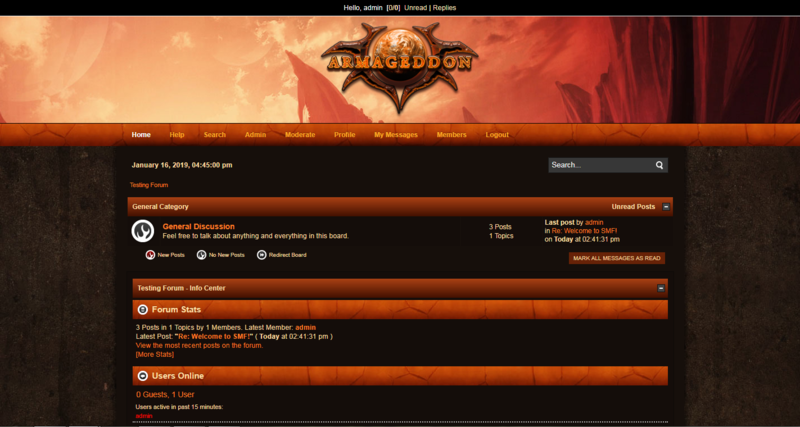 The updated version (which is available in the theme options, thanks to Nathvaan) should allow for this now! I really like it. I'm going to switch between this one and the original Cappucino every once in a while.